What makes for effective strategy? What’s a sweet tactic? How can we keep our organizing teams in the game? 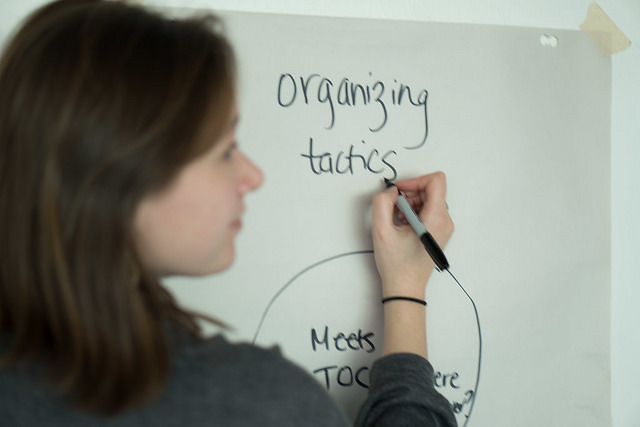 Join Dogwood staff organizer Dave Mills for a workshop on modern political organizing. Dave has been working on political campaigns with Dogwood for four years and is a veteran of three election campaigns including the pivotal voter identification and get out the vote campaign in the riding of Courtenay-Comox that resulted in a change of administrations here in British Columbia. Derived from Organize BC’s highly successful People/Power/Change training model, this workshop will go over the basics of strategy, tactics and team building.